The Pacific Islands conjures pictures of swaying palm trees and unspoiled beaches. But, after civil wars and unrest since the 1980’s, experts in the region are clear that Pacific Islanders cannot afford to be complacent about the future, even after almost a decade of relative peace and stability. And preventing conflict goes beyond ensuring law and order. Severe Tropical Cyclone Pam, which swept through the South Pacific Island state of Vanuatu in mid-March, has deepened hardships faced by people living in the informal settlements of the capital, Port Vila. Winds of up to 340 kph and torrential rain shattered precarious homes, cut off fragile public services and flooded communities with unsealed roads, poor drainage and sanitation. 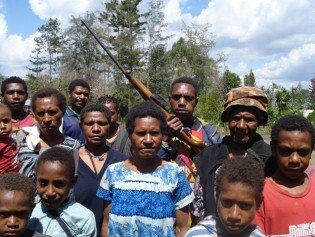 Stemming widespread corruption in the leasing of customary land to investors is the aim of bold land reform, introduced this year in the Southwest Pacific Island state of Vanuatu, which puts the rights of traditional landowners above the discretionary powers of politicians. A pledge by political leaders two years ago to accelerate efforts toward closing the gender gap in the Pacific Islands has been boosted with the announcement that three women will take the helm of the regional intergovernmental organisation, the Pacific Islands Forum Secretariat, headquartered in Suva, Fiji. Populations of many Melanesian countries in the southwest Pacific Islands region are expected to double in a generation, threatening regional and national efforts to improve low economic and human development indicators. While the United Nations claims to have met the Millennium Development Goal target of improving the lives of 100 million slum dwellers well ahead of the 2020 deadline, the fact remains that millions around the world continue to live in informal, overcrowded and unsanitary housing conditions. In the Pacific Island state of Vanuatu, 23 actors with disabilities, from youth to senior citizens, who have battled physical and social barriers all their lives, are now empowering themselves and others through socially engaged theatre. Rapid migration to cities and towns, driven by scarce public services and jobs in rural areas, is producing a profound social shift in Pacific Island countries, where agrarian life has dominated for generations. But the urban dream remains elusive as a severe lack of housing forces many into sprawling, poorly-serviced informal settlements. Governments in the Western Pacific Islands, believed to be home to a third of the world’s smokers, have begun a long battle with the growing crisis of non-communicable diseases. Such diseases currently account for 75 percent of the region’s fatalities. Many Pacific Island nations are celebrating the success of rising school enrolment rates, with 14 members of the 16-member Pacific Island Forum on target to meet Millennium Development Goal 2: achieving universal primary education by 2015.